Next up in the 2017 Coffee Spot Awards with the shortlist for the “Best Overseas Coffee Spot”. This was won in 2016 by The Cupping Room Central and celebrates all those wonderful Coffee Spots that I’ve visited outside of the UK. I’d love to travel more, since I keep hearing about great coffee all over the world. This year has been the best yet for overseas Coffee Spots, with first ever trips to Vietnam and Japan, plus a return trip to China. I also managed to make it all over the US from California to Miami. 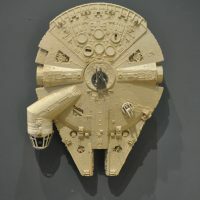 If you want to read more of my travel exploits, check out Brian’s Travel Spot. 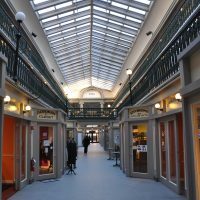 In the glorious setting of America’s oldest shopping mall, New Harvest Coffee & Spirits in Providence, RI, does what it says on the tin: coffee shop by day, bar, specialising in spirits, by night. All the coffee is roasted in-house by Harvest, with a seasonal house-blend and decaf on espresso, two options on bulk-brew and one on pour-over (Kalita Wave), backed up by a selection of cake and a wide range of spirits and cocktails. Café Grumpy has been gracing New York City for the last 10 years with its Aussie-influenced take on speciality coffee, championing pour-over long before it became fashionable. It’s also my favourite coffee shop/roaster chain. This branch, in the Fashion District, is not far from both the Port Authority Building and Penn Station, my two entry points into the city. Café Grumpy is also shortlisted for the Most Passionate About Coffee Award. 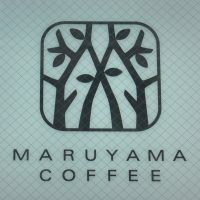 Maruyama Coffee, in Nishi Azabu, Toyko. was my first Japanese speciality coffee experience. This was down, in part, to the excellent Commodities Connoisseur and also to serendipity: it was across the road from my hotel. Think of a high class tea room, but serving speciality coffee, and you have Maruyama Coffee in a nutshell. This is as far from “hipster” as it’s possible to get! Staying in Tokyo, was another serendipitous find, just down the road from another of my hotels. In a lovely residential neighbourhood, Kaido is a coffee shop downstairs and a bookshop upstairs, although you’re welcome to take your coffee and sit among the books. Kaido Books & Coffee is also shortlisted for the Best Neighbourhood Coffee Spot Award. 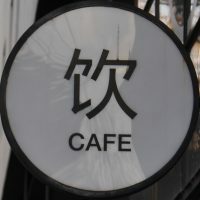 A final entry from Tokyo, Café de L’Ambre is a traditional Japanese kissaten, more akin to a bar than a coffee shop and at the opposite end of the scale from Maruyama Coffee. All the coffee is roasted on-site at the front of the store and made and consumed at the back, in a long, low, smoky room with a counter/bar on the left and a handful of tables on the right. 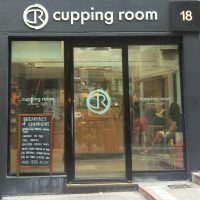 Switching to Vietnam, Vietnam Coffee Republic occupies a basement-like space (good enough to earn it a spot on the Coffee Spot with the Best Basement Award shortlist) in Ho Chi Minh City. It roasts all its own coffee, championing links with Vietnamese coffee farms. There are four principle blends with varying ratios of Robusta/Arabica, joined by a single-origin through V60, Aeropress, cafetiere and syphon. 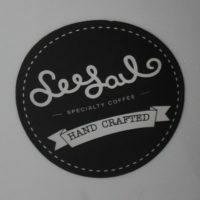 This is the original Seesaw, a Shanghai based coffee shop/roaster mini-chain. It’s a lovely spot, with a large, enclosed courtyard at the back, the ideal spot to sit outside when it’s not too humid. 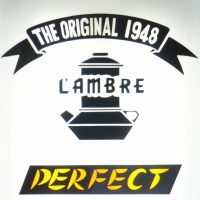 seasonal house-blend and single-origin on espresso, with six or seven further single-origins on pour-over/cold brew. Seesaw 433 has also been shortlisted for this year’s Best Outdoor Seating and Best Cake Awards. 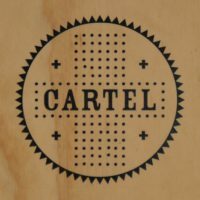 Cartel Coffee Lab is a well-known roaster/coffee shop mini-chain in Phoenix, with its headquarters in nearby Tempe. The downtown branch is right in the heart of the city, located off the lobby of an office building within a block of the literal city centre. 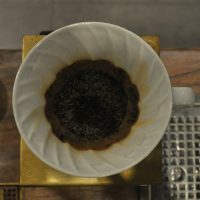 There are six single-origins, including decaf, available through Aeropress, V60, Clever Dripper or Chemex, one of which (plus the decaf) being available as espresso. 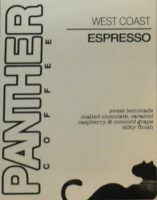 Panther Coffee, Wynwood, is the original branch of a small coffee shop/roaster chain in Miami. The shop itself is lovely, with the vintage roaster in the back, while there’s a large outdoor seating area out front, making the most of Miami’s warm climate. There’s a choice of two espresso blends and a large selection of single-origin coffees. Panther has also been shortlisted for this year’s Best Outdoor Seating and Best Espresso Awards. 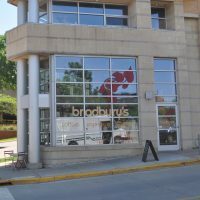 The first coffee shop on this shortlist that isn’t also a roaster, Bradbury’s Coffee is a stalwart of the small speciality coffee scene in Madison. Located in an interestingly-shaped building just a block away from the capital building, there’s a bespoke house-blend from Kickapoo Coffee, plus a rotating array of guest roasters on espresso, pour-over (Kalita Wave) and bulk-brew. Chicago’s Wormhole Coffee could very easily be a gimmick with its 1970s/80s vibe, complete with model of the Millennium Falcon (left). However, it’s resisted this temptation, and instead, roasting under the Halfwit Coffee brand, it serves a house-blend, single-origin and decaf on espresso, joined by a selection of single-origin filters. This includes bulk-brew, Aeropress, V60, and Chemex, plus a guest roaster, also available through the V60. Back in Madison, Porter is one of my favourite settings for a coffee shop, inside a disused railway station. You can sit out on the platform if you like, or inside in a cosy space. 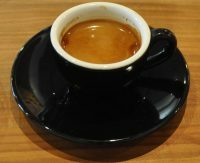 The coffee, from Counter Culture in North Carolina, includes the Hologram espresso blend, plus different single-origins on guest espresso, pour-over, bulk-brew (drip) and on tap (cold brew). Porter has also been shortlisted for the Most Unlikely Place to Find a Coffee Spot and Best Outdoor Seating Awards. 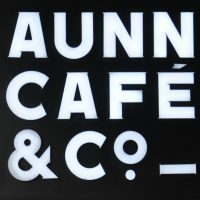 Shanghai’s AUNN Café & Co. is a café, lifestyle store/design showroom and gallery space spread over three floors underneath a hotel on Shanghai’s busy West Nanjing Road. There’s also a terrace outside on the busy road. 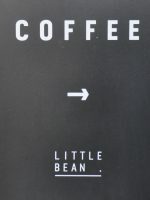 The coffee comes from Little Bean with a standard, espresso-based menu, plus cold-brew, batch-brew and two single-origins available via the V60. Talking of Little Bean, I visited the Little Bean Roastery in Pudong, another interestingly-shaped coffee shop, with a bakery and training room upstairs. In the morning, the shop is filled with the smell of freshly-baked bread. The coffee is awesome too, with pair of single-origins on espresso and another five on pour-over through the V60. Little Bean has also been shortlisted for this year’s Best Filter Coffee and Most Passionate About Coffee Awards. Finally, The Corner, from Beijing, is the first coffee shop I’ve seen that’s located in a car repair workshop. Spread over three floors at the end of the building, it has the industrial look nailed. When it comes to coffee, there’s simple, espresso-based menu, backed up with a large selection of single-origin coffees which are available on pour-over. The Corner has also been shortlisted for the Brian’s Coffee Spot Special Award.